The future of St. Isaac’s Cathedral, one of Russia’s most important historical sites, is uncertain. The imperial monument in St. Petersburg has served as a state museum for ninety years. But now, city authorities plan to transfer the building to the control of the Russian Orthodox Church, causing a bitter dispute between the people of St. Petersburg, conservationists and clerics. 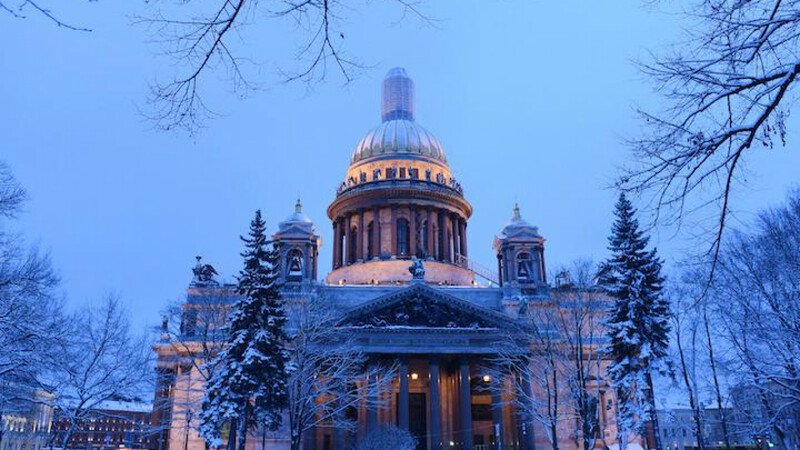 On Jan. 10, St. Petersburg’s governor Georgy Poltavchenko announced that the state would gift the landmark to the church in an agreement which will last 49 years. St. Isaac’s is known for its lavish interiors and golden domes, which provide some of the best views on Russia’s former imperial capital. It took 40 years to build, largely overseen by the repressive reign of Nicholas I and finally finished under Alexander II in 1858. In the 1930s, the Soviets turned the building into an anti-religious museum. But since the fall of the USSR, the UNESCO world heritage has housed a state museum with a permanent exhibition while also hosting religious sermons. Church officials have said that in the West, pointing specifically to Italy and the Vatican, cathedrals are operated by religious authorities. They have also promised that the cathedral will remain open to the public. In a press conference, the spokesman for the Orthodox Church Vladimir Legoida said it plans to scrap the 250 ruble fee to enter St. Isaac’s and pledged to “guarantee access” to it. But opponents of the move doubt that these promises will be kept. “It will be destroyed,” says Nikolay Burov, the museum’s current director. He clarifies that nobody will literally destroy the building but that the new management will be unable to cope with its maintenance. “I am a realistic man of the 21st century, I know how the economics of this place work,” says Burov, adding that St. Isaac’s requires constant renovation and employs almost 400 people. Burov worries that under the authority of the church, St. Isaac’s will lose its “utilitarian function” as a public building open to the people of St. Petersburg. He is not alone in this opinion—the city did not take the decision well. Over 190,000 people have signed an online petition against the decision. The day after Poltavchenko announced the news, a few hundred people gathered outside the cathedral in a spontaneous protest demanding city authorities retract the decision. “St. Isaac’s is a symbol of our city and its fate should be decided by the citizens of St. Petersburg,” says Bogdan Litvin, one of the organisers of the protest. Instead, the decision was made by one person: the governor Poltavchenko. “We should solve this issue using direct democracy,” says local pollster Roman Mogilevsky. Protesters, who plan another demonstration on Jan. 28, are demanding a referendum on the fate of the building. But city authorities have already dismissed this idea. St. Petersburg’s ultra conservative vice governor Mikhail Mokretsov called this idea “an exotic way to fulfill federal law,” further angering protesters. It is not the first time controversy around the question of St. Isaac’s ownership has arisen in the city. Burov says this debate goes back 150 years, when the cathedral was first built. In prerevolutionary Russia, the church’s Synod asked the imperial government to transfer St. Isaac’s from the jurisdiction of the interior ministry to the full control of the church—but it repeatedly refused to do so. Burov sees echoes of the same debate in today’s Russia. Only last Spring, city authorities rejected a church request to hand over the building on economic grounds. Then, local church authorities grew quiet and did not protest the decision. Yet, less than a year later, the St. Petersburg government appears to have made a U-turn. “This could only have come from the Kremlin,” says Andrei Desnitsky, an expert on the Russian Orthodox Church. “It looks like an exchange for a favor,” he adds. Desnitsky believes the timing of the affair is no coincidence. As Russia enters the centenary year of the Russian revolution, the state will be looking to emphasize national unity over rifts. The Kremlin may be looking to stage a show in which it needs church support. One of these shows could be burying the remains of Tsarevich Alexei and Grand Duchess Maria, which were found in an Ural forest, separated from the rest of Russia’s murdered royal family. Funerals for the pair were repeatedly scheduled and repeatedly called off by the church, which does not recognize the remains as authentic despite scientists largely agreeing on the matching DNA. “Burying them could be a strong political signal for the state this year,” says Desnitsky. In order to do so, the Kremlin would require church participation. Gifting St Isaac’s to the Patriarchy could convince it to agree. Burov, too, cannot help but draw the parallel to the centenary. “I am a statesman not a revolutionary, but I do not think this is the right way to mark this jubilee,” he says. Since the fall of the USSR, the transfer of religious buildings to the church has been ongoing, but the institution’s power as a landlord has been strengthened significantly under Putin. In 2010, the Duma passed a law allowing major state buildings to return to the church. In 2016 alone, 133 buildings were given to the patriarchy and there are thousands more listed as eligible for the same treatment on the official site of Russia’s Federal Agency for State Property. The more property the church gains, the more conservationists fear for its ability to look after the buildings. “I worry that there are not enough voices inside the church who think about how to look after the buildings,” Desnitsky says. Even the burning of scented candles during religious ceremonies damages interiors. Konstantin Mikhailov, the head of Russia’s conservationist society Arkhnadzor, calls for calm in the situation. “We need to think of the church as a business,” he says, calling for it to put forward a plan on how it will finance and maintain St Isaac’s. Making the plans for the maintenance of the public cathedral, he warns, should happen before, not after, the takeover. “This is a national treasure and we cannot afford to experiment with it,” says Mikhailov.